As much as we track milestones, there's no birthday after which we have to give up and shut everything down. Logan's Run hasn't become reality. But sometimes we need a bit of a reminder of that, and these ladies are an excellent example. They've blown out plenty of candles in their lives, and they're still rocking on. 1. 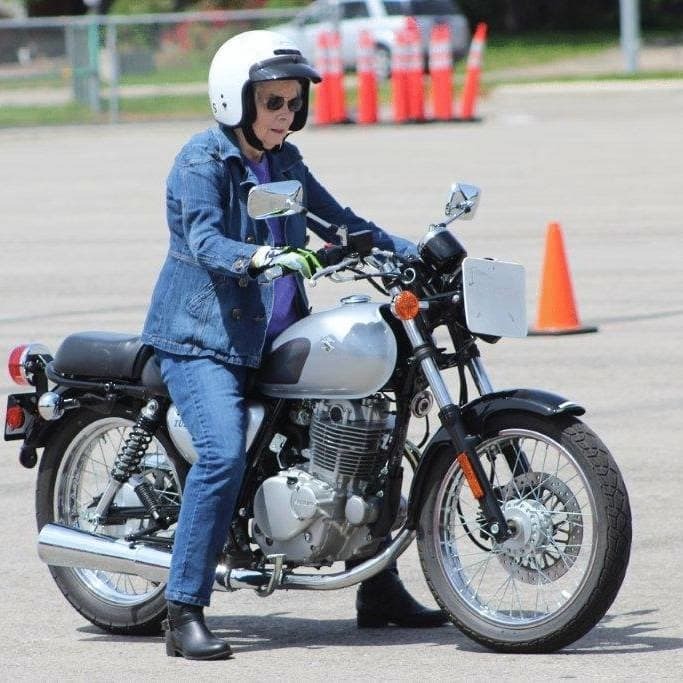 "My mom enrolled my 80-year-old grandma in an Idaho Star Introduction to Motorcycle course for Mother's Day," wrote Reddit user halvicto. Even if she didn't end up with her license, that must have been quite the experience for her. 2. This 73-year-old grandmother finally graduated high school. Just goes to show that it's never too late! You just have to feel happy for her finally meeting that goal, don't you? 3. At 77, this grandmother became her university's oldest graduate, earning her PhD. Amazingly, she's already a college professor, and she has no plans on retiring in the foreseeable future. 4. 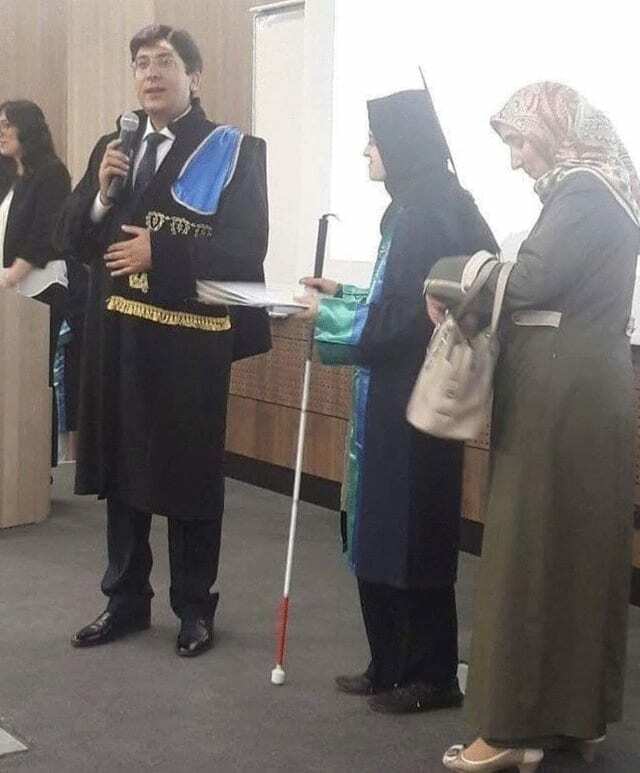 Now this is a special graduation ceremony, as this visually impaired woman gets her law degree in Turkey — and so does her mother, who's standing beside her. After four years of reading textbooks to her daughter, she was also awarded an honorary law degree. 5. "My 65-year young mother in her home, this morning," wrote Reddit user oldladyhinkle. I know 65 might sound old to some of you guys, but it's really not. Of course, it's still nice to see her still rocking out. 6. "Here is a picture of my 96 yo grandma arm wrestling with her boyfriend," wrote Reddit user ola0711. Apparently, after a glass of wine grandma gets a little bit feisty. Teamwork makes for a special moment for both of them! 8. "She took me in 15 years ago and no one makes me as happy," wrote Reddit user Faris-Hilton. It's no surprise to learn that his grandma is a lifelong carer, who took him in after she retired from the kids home where she had helped raise him. 9. "My 89-year-old grandma is brushing out my dreads," wrote Reddit user yuki2chan. This seems like the kind of bonding experience everybody can learn something from, and that neither probably expected to do in their lives. 10. "My 98 year old aunt holding a picture of the WWll fighter plane named after her," wrote Reddit user aManOfTheNorth. I like to think her grandson would do the same today, too. 11. Just to show you what a difference exercise can make, you'd hardly believe this lady is 101 years old. She doesn't look a day over 80, and she's still going strong in the cardio studio! 12. For her 90th birthday, this grandmother decided to mark the occasion with her very first tattoo. She got a pink cancer ribbon to commemorate a five-year battle with cancer that she won. 13. Looks like Grandma had a good time on her New Year's cruise. If you don't believe there's such a thing as being young at heart, well, she's living proof that there is. 14. When your grandmother admires your pants, you get her a matching pair for her birthday. And I think the smile that gift put on her face says it all. 15. When grandma asks for a big steak for her 87th birthday, you cook her up a whopper. That's 33 ounces of mouthwatering ribeye, and she looks like she's up to the challenge. 16. Here's a role model who just won't quit: at 102, Indian athlete Man Kaur brings home medals from whatever competition she enters. She's often alone in her age bracket, but that doesn't diminish her accomplishments one bit. 17. This lady is a die-hard Miami Dolphins fan, so when she ran into Dolphins legend Dan Marino, she wasn't about to let him go unhugged. I bet she's the Dan Marino of hugs. 18. Proof that grandma is tech savvy in the most grandma way possible: She has a tub of rice set aside for phones that go swimming. You know grandma is always prepared! 19. This grandmother can come shopping with me anytime if she's so determined to have fun that she'll grab a broom off the shelf and pretend to be a witch. 20. "My grandmother has had this up in her house for 30+ years," wrote Reddit user MarianoKeifer. "Just noticed she pasted her face over Scarlet O’Hara." Makes you wonder exactly when she put it up there. 21. "Bought my Grandma an iPad. She's 84 and never had a tablet, and wanted it for 'art,'" wrote Imgur user oxide42. "I bought ArtRage for her and left her alone with her new toy for 30 minutes. This is what I came back to." 22. Shirley Curry, who posts videos of herself on YouTube playing video games like Skyrim, had this wonderful exchange with a viewer in distress. She handled it like a true grandmother, with an almost militant niceness and concern. 23. "I got a pair of circle rim shades but my girlfriend didn't like them," wroteReddit user laughingwarlock. "So I gave them to my grandmother and then all her friends bought matching pairs. Now they look like they're about to drop the hottest album of 2017." 24. And this 97-year-old grandmother wanted to send out a reminder to all the younger folks out there. Basically, YOLO, so don't live with FOMO, or you'll be a sad bear.